Synopsis: Fia and Annie are as close as two sisters can be. They look out for each other. Protect each other. And most importantly, they keep each other’s secrets, even the most dangerous ones: Annie is blind, but can see visions of the future; Fia was born with flawless intuition—her first impulse is always exactly right. Now Fia’s falling in love with a boy who has dark secrets of his own. And with his help, she’s ready to fight back. They stole her past. They control her present. But she won’t let them take her future [x]. Review: I had just finished reading an arc by Kiersten White and was interested in seeing what else she had written. 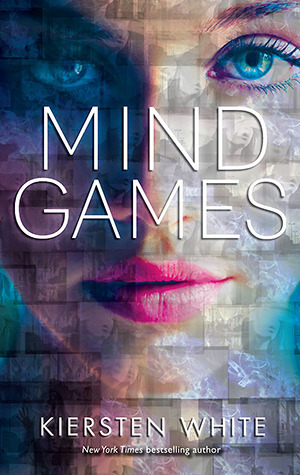 Turns out I had picked up Mind Games ages ago but just never read it. I didn’t go into this novel with high expectations as the novel I had previously read by her was amazing. I definitely didn’t think this one would top that. (It didn’t). I don’t know why the girls have these “powers” it wasn’t explained… maybe it will in the sequel? I’m not itching to get the second book in this series but if it as short as this one I will pick it up at some point. I am interested to see if my questions are answered. This would be a good book to read if you are in a reading slump.